What could be better in the middle of winter than gathering around crackling logs burning in a fireplace? Fireplaces are an important element in a room and the design of the mantel can influence the feeling or mood of a space. A fireplace is a wonderful way to organize furniture placement in a room. Often, a fireplace will become the focal point of a room. It can help facilitate socializing by bringing people together or it can be a wonderful place for individual meditation. In this Tucson, AZ house designed by the architecture firm Voorsanger & Associates, my firm chose a cream colored limestone to cover the entire chimney breast. Limestone is a perfect accompaniment to the clean, modern, and asymmetrical design because it is has a monochromatic simplicity. The spare seating arrangement emphasizes the fireplace’s importance. 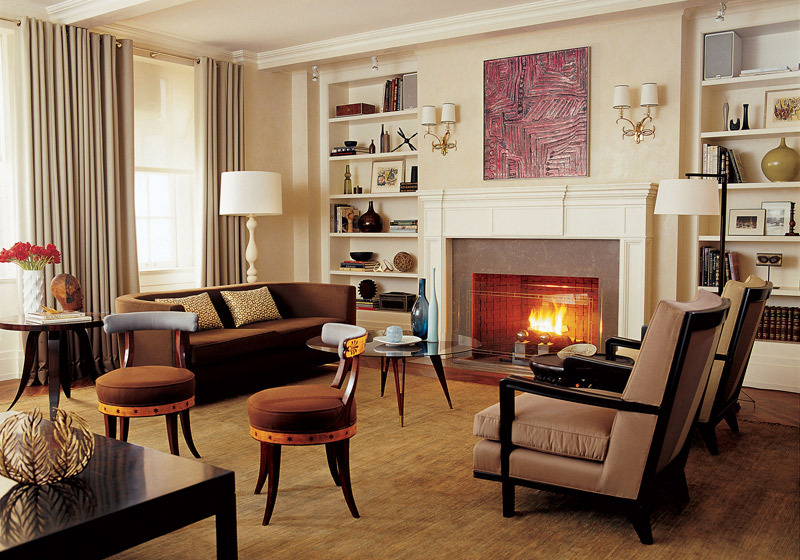 We designed a wood mantel with traditional molding for this Upper East Side apartment. 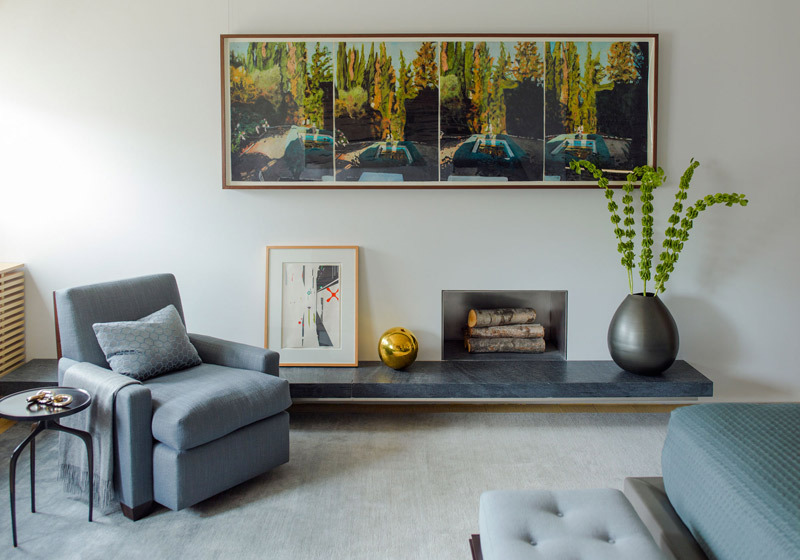 I like pairing a more modern glass fire screen to balance the traditional mantel. This living room has two seating areas, and this one takes advantage of the central axis of the fireplace. 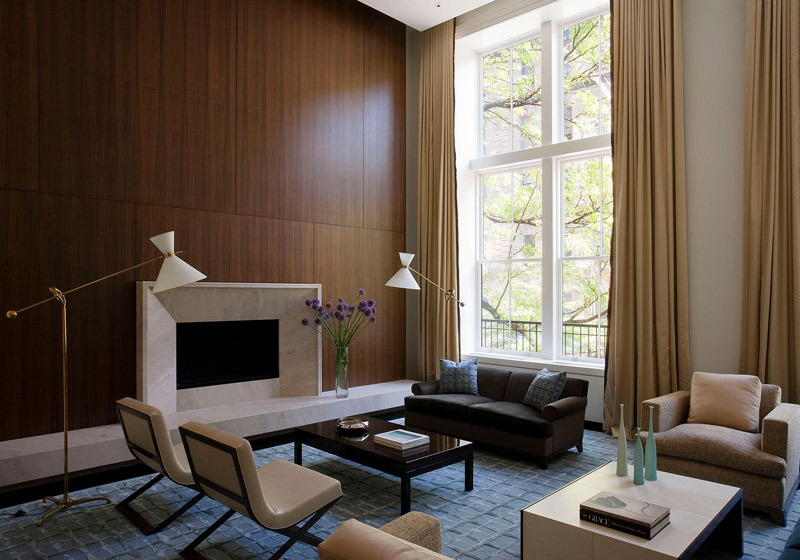 My firm chose a simple modern limestone mantle from Chesney’s for this Central Park West apartment. We chose to contrast the light color of the limestone in the mantle with a darker limestone on the fireplace surround. It creates depth and a more interesting palette. In this townhouse designed with architect Peter Pennoyer, the painted white wood mantle is designed so that it is deep enough to rest a piece of art work on it. My firm placed the chaise next to the fireplace so that the clients could have a peaceful place to enjoy the fire. Gabellini Shepherd Architects gave this Upper East Side Apartment a minimal opening for the fire box and floated a stone shelf below it. The modern design allowed my firm to add art and sculpture to the wall to balance the fire box. I always like to add seating nearby when possible, like I did in this bedroom. 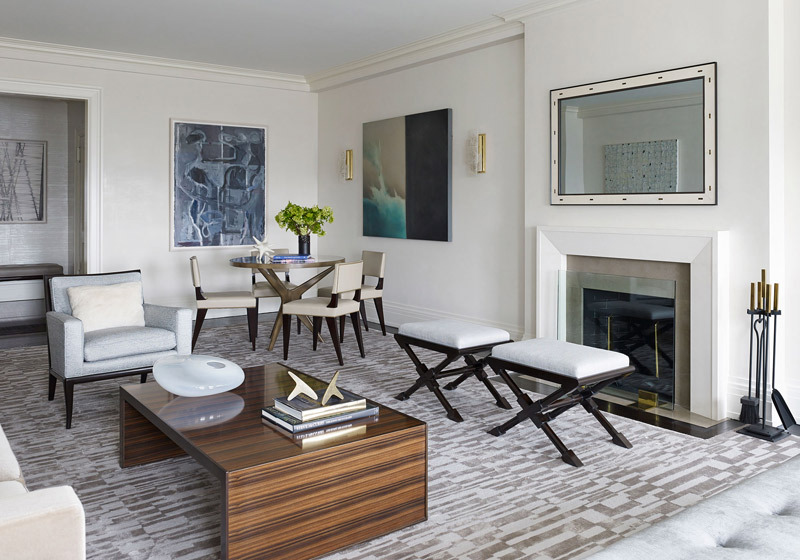 This dramatic double height walnut paneled room designed by David Howell Architects has a monumental limestone mantel with an integral floating horizontal bench that spans the length of the room. My firm chose a combination of vintage and contemporary furnishings to complement the architecture to create a timeless interior. This is a perfect space for small or large scale entertaining with a roaring fire as a back drop. 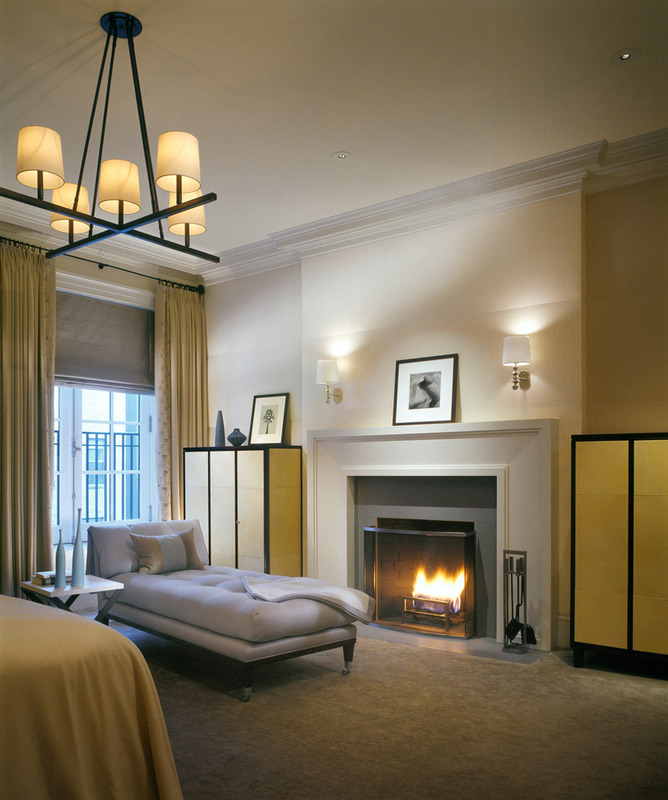 The painted wood fireplace in this Upper East Side apartment was designed by Peter Pennoyer Architects. Although the fireplace is centered in the room, it acts more as a separating element between the bed and the seating area. My firm designed the space to be an oasis of comfort for our clients. The fireplace adds a beautiful architectural element to the room. (Your email will not appear).